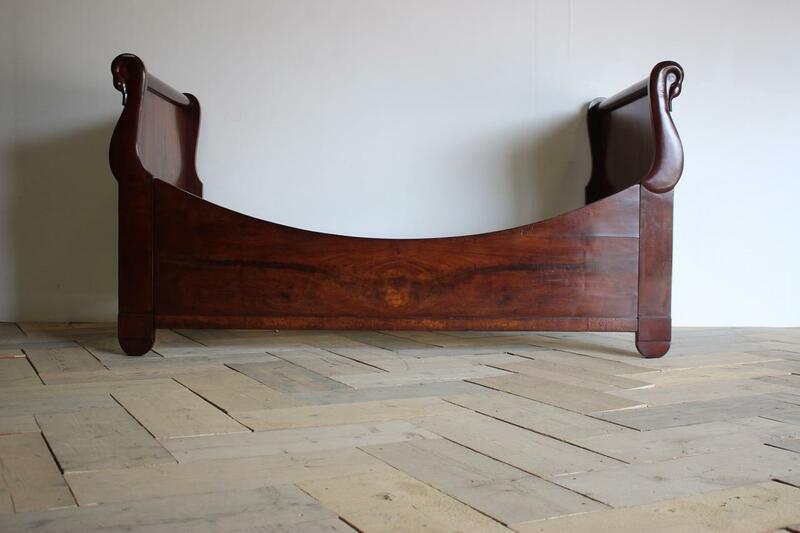 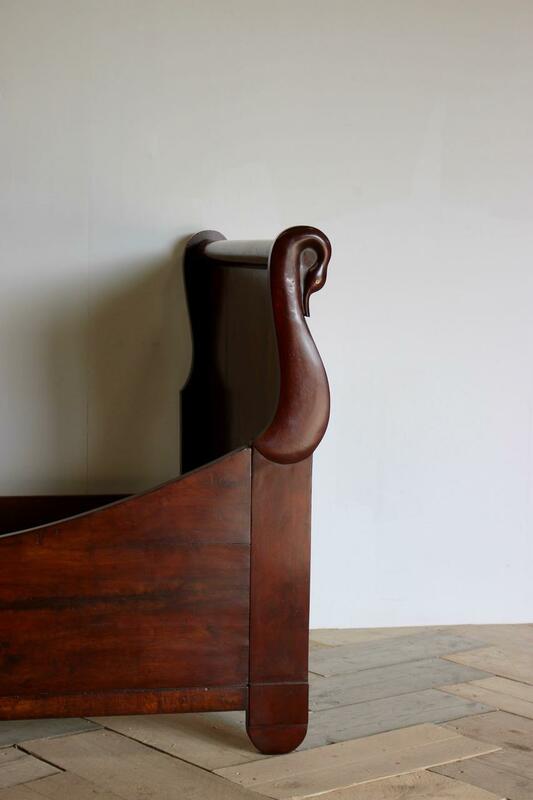 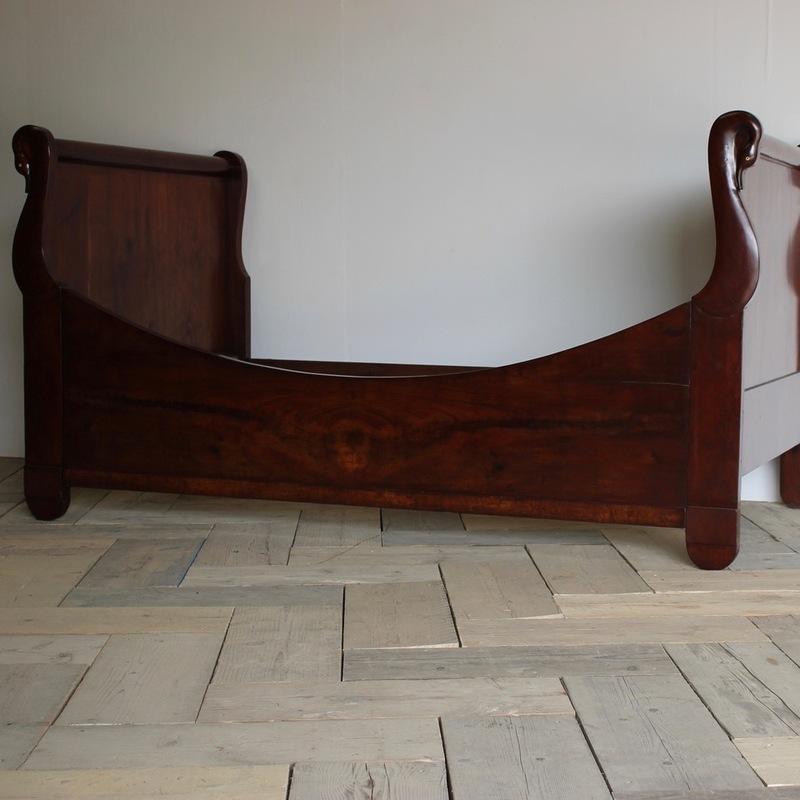 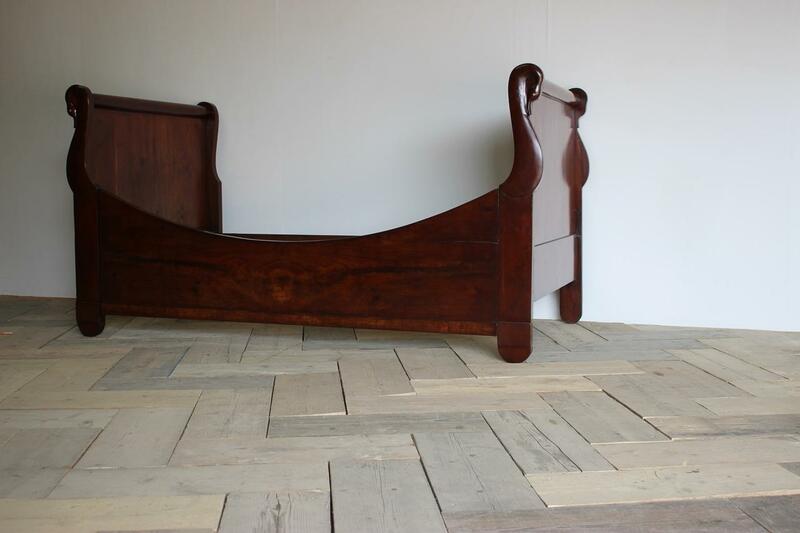 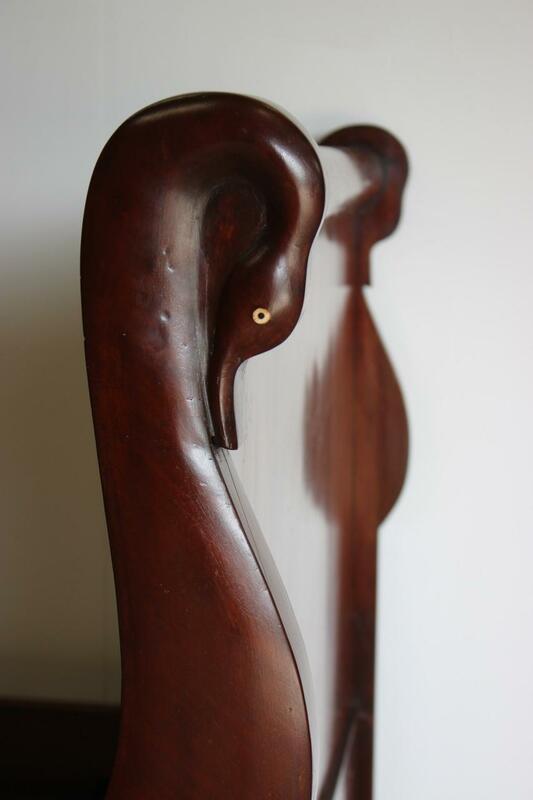 A very charming, 19th century French Lit en Bateu ( Single bed ) in mahogany with swan heads. 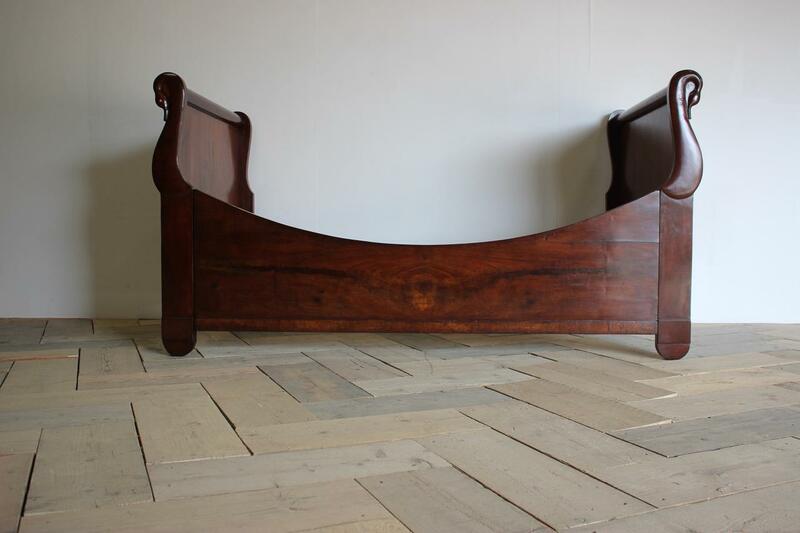 Perfect for an occasional bedroom or children. 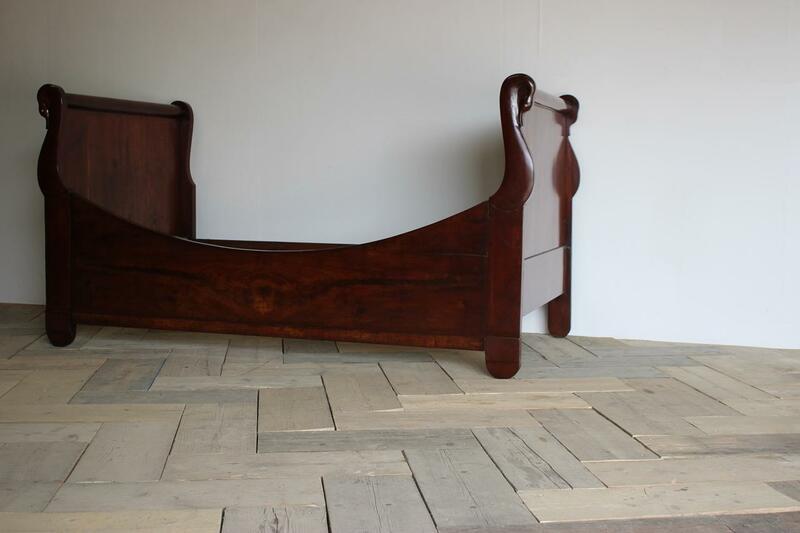 The bed comes with the base and it is ready to go. 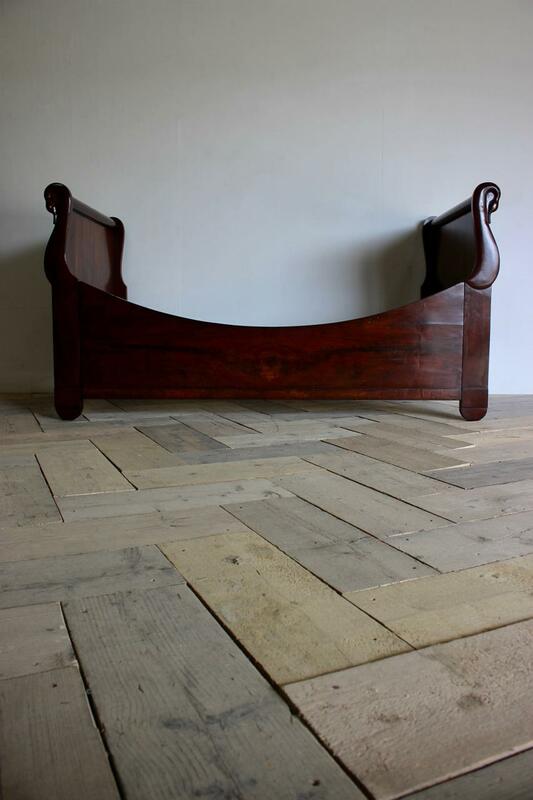 It would take a single mattress.